Mandy's Salad Bar, one of my life long fave healthy lunch spots just opened their Old Port Montreal location and it's nothing short of a rosé, marble dream...... a California meet French bistro dream. I love a good salad, but nothing makes me happier than a combo of the perfect healthy meal in the happiest Cali setting. Let's just take a moment to say thanks for brightening our spring and changing the Old Port game forever! 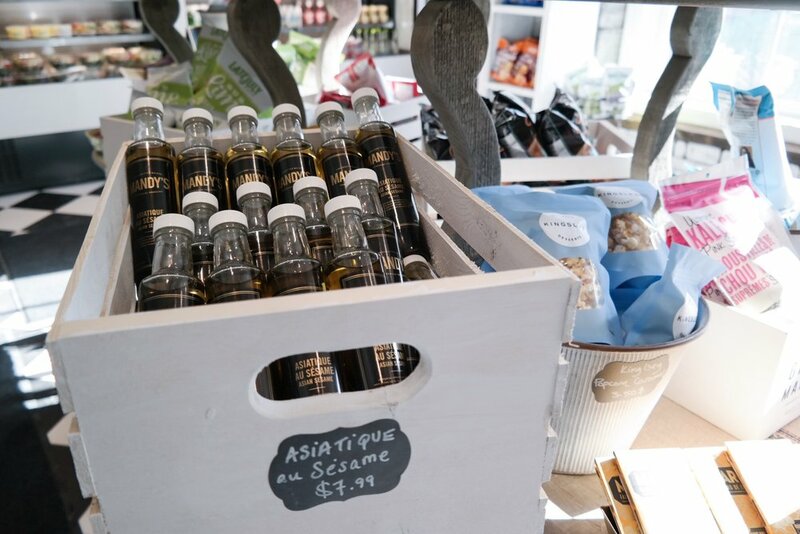 I was a Mandy's salad fan when Mandy's was a line of salad obsessed shoppers at Mimi & Coco on Sherbrooke St in Westmount. When I was working downtown they opened their crescent spot right next to my work, which took the brand to a new level and my obsession followed suit. And now it's surprise the dynamic sister due has done it again. Mandy and Rebecca Wolfe opened their new Old Port spot today and not only have they upped the food game with new menu options, extended hours, wine, cocktails, coffee, year round smoothies, bowls, soups and wait for it.... my fave non alcoholic exlihers packed wth fresh herbs and fruit. 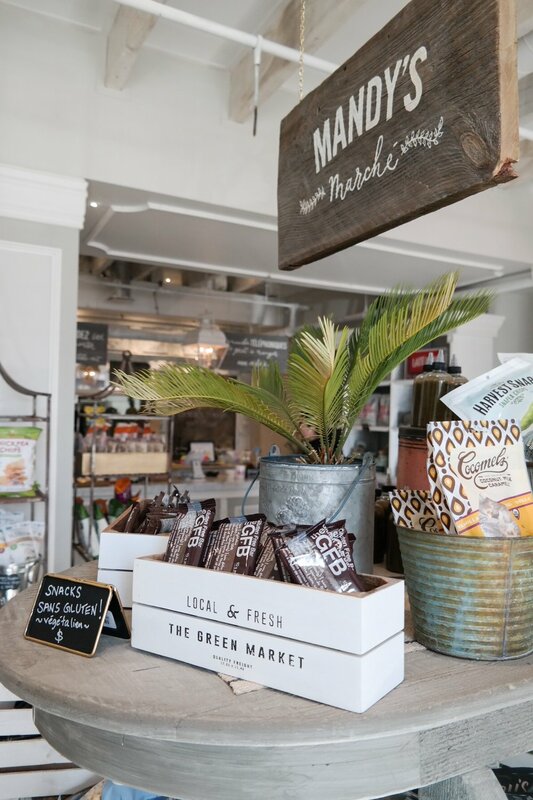 They've also introduced new products like their signature bowls everyone loves for purchase, top bev brands we find in their other location and a variety of old faves and new coconut, chocolate and veggie treats in their grab and go market. If there was a bed, I would maybe just live here! That being said this spot is a block from my condo (bless the location selection) and they won my heart with their rose coloured banquet table tucked in the back.... perfectly nestled inbetween rose gold framed black and whites and their palm tree wall paper. Don't worry!! 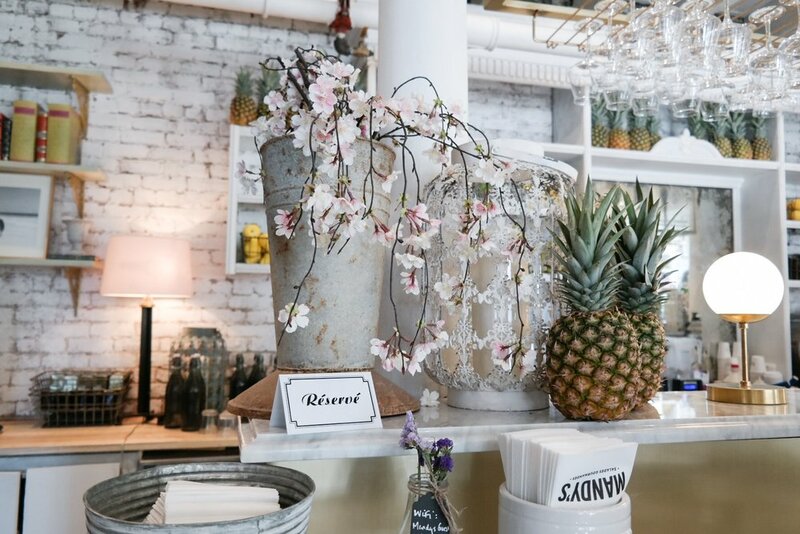 Pineapples didn't get forgotten in the making... with little details on the menu, pineapple hooks and decor around the marble bar, the trend lives on. On brand much?! If your happen to work or live in the neighbourhood your dreams have just become a reality. Check it out. And don't be surprised if you spot me sitting & sipping on a rise and shine smoothie writing away ....like I am now! The address of the new location is 432 Rue Saint Nicolas. Check out their Instagram page here and some of my shots below!